Many automakers offer special winter packages for their vehicles. Without exception, they all miss something. Some make glaring errors. We recently reviewed an American vehicle, designed in Michigan, which offered bigger fancier wheels on a special edition winter package car. That makes absolutely no sense whatsoever. 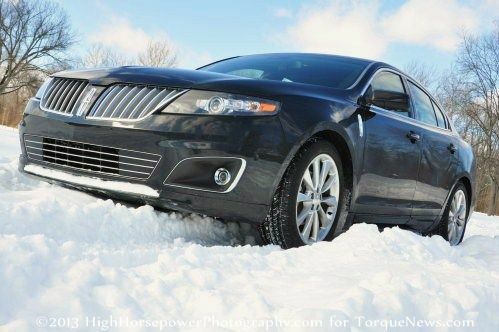 Here is a look at what Torque News thinks a proper winter package car should have and why. To begin we will need a vehicle. Each body style offers its own advantages. Sedans win hands down on slippery highways. Their lower center of gravity and overall better balance mean they handle better. Tall wagons are good because they offer the advantages of a sedan, with more cargo area for road trip gear. However, based on our experience we will say a crossover is the place to start. One reality of winter driving is that the place you want to start out from, or end up at, is often plowed in. You can get out and shovel, but it is nice to have the option of busting on through. Crossovers offer the best front for this because their breakable bits are higher up. After stuffing the expensive fog lamps in a Subaru Outback into the radiator once, our minds have been forever changed on AWD cars with low spoilers. Another key advantage of crossovers is that their higher windshields take less abuse from sand and salt being kicked up by the vehicle ahead. Any real winter driver knows that the most important thing is tires. All-wheel drive does not help stop a vehicle and it does not help a vehicle turn on ice or snow despite advertisements to the contrary. Dedicated winter tires are a huge game changer when driving in snow and ice. Whether you choose the Blizzacs, Winter Carvers, or Extreme Contacts, get some real winter tires. Ideally, they should be on the smallest diameter rim that vehicle can accept, which usually means the base model. So in our design we will have a separate set of “minus-size” rims and tires for our crossover are the same size the base model is designed to accept. Yes, the Tire Pressure Monitoring Sensors (TPMS) are pricey, but the snow tires are always cheaper than all-season rubber, and they reduce wear of the other tires and rims. Much of the cost is recouped over the life of the car in 5 or 6 years. Since we are designing the car, we will also make this package available directly from the manufacturer, by way of the dealer. That way, we know everything is compatible. Have you ever hit the windscreen washer button and seen the washer fluid flash freeze on the windshield? No? Then you are not from New England, where this can happen any day of the year except the fourth of July. We New Englanders keep spray de-icer in the car all year long. We know you’re laughing but we had a blizzard last Halloween that shut down everything due to snow and ice. It also snows in August at Killington, one of Vermont’s most famous ski and mountain bike resorts. We’ve seen it first-hand. Seeing the fluid flash freeze is actually the second worst thing to see happen. The worst is when you hit “spray” and get – nothing. Because your nozzles are frozen, or worse, the whole system is frozen. To prevent this, we say, heat everything; the tank of washer fluid, the line that delivers it, and the nozzles. While we are at it, let’s take Subaru’s best gift to all things automotive and heat the base of the windshield too. That helps get the frost off the windshield in the morning and keeps the wiper blades happier. Let’s also heat the 2 inches of glass next to the driver’s A pillar. That is a favorite ice area when the conditions are right. Let there be heated, washer fluid that sprays on the headlights. Lexus has this and it works well. We will add that same treatment to the fog lights. High beams don’t work in snow-storms, so those often forgotten little bug-eye fog lamps are your best friend in a white-out. Let’s make sure they are clean and ice-free. Did you know that on Canadian versions of many cars the washer reservoir is bigger? It isn’t a myth. We’ll take the big-gulp version. Also, how about a 1/3 full warning light that we can disable? It would be nice to know we have 1/3 left, rather than we are just about done. On real winter road trips in the mountains gas stations need to be planned for since they can be 20 or more miles apart. Remote starters are great. For ours we will add an intelligent system that knows the temperature of the car’s coolant and applies full defrost mode and heat to the heated seats. It will also turn on our heated mirrors, heated rear glass, and heated windshield. It will also disable the wipers if they are accidentally left in the “on” position to prevent them from damage if they are iced in place. Smaaat, right? On ski trips kids leave interior lights on and sometimes a door is left ajar a bit. Our winter package will use the car’s brain to shut off those lights, or the headlights, or anything else that can drain the battery. Come on manufacturers this should be standard on every car. Our vehicle will also have an app that tells our smart phone if the battery is discharging to a level lower than can start the car. Why not find out before the thing is dead so we can take action? This may seem obvious, but we have reviewed cars with winter packages that don’t have these two options. In case you don’t know, the reason these are great is that blasting the heat at your face is not comfortable for your eyes and lips on road trips. Using the heated wheel and seats reduces the need for heat coming out of the vents. The heated wheel and seats also come on much faster than the car’s heat does. Here is a wrap-up list of things every winter car needs. A clear film to prevent front end stone and sand damage. Alternatively, unpainted flat-black plastic trim like the Audi All-road has featured on and off through the years. A full-size spare tire. 40-20-40 split rear seats. The reason this makes sense is it allows 4 passengers to drive in comfort while the wicked rad snowboards are all inside and passed through the small, middle section of the rear seats. Last, all winter package cars should have a single tow loop in the front for helping it get unstuck, and a basic tow hitch capable of accommodating snowmobiles. In the trunk a 30 foot tow strap and large hooks will be stored. Our winter vehicle will have a modern, stout V6 that runs on regular unleaded. That is the most fuel economical solution in a winter mid-size crossover. Let’s not pretend anything with added batteries (like a plug-in hybrid) is a good idea in the coldest of weather. However, we will add a plug connection (male) that can connect to 115 volt power and will heat the engine block and battery. This collection of winter gadgetry all exists now on various models. Let’s hope some manufacturer someday has the inclination to offer it all. And we hope they name it the Torque News Winta Caa. I had a '92 Civic SI with old-school snows on just the fronts. Not Blizzak style, the older hard compound, big grooved "snow-tires." The thing was insane. It could drive on ice and snow as good as anything I have ever driven, up to about 20 miles per hour. Then it was just spooky. It would eventually decide to just ride on top of the slush and snow and the grip would go from amazing to nothing. But then I would just slow down and it would hook up again. 1st VTEC engine in a Honda (if I have the year right.) 125 HP all through one front wheel.